The goals of the third ICEPORM Conference were to gather scientists from around the world. 200 scientists from developed and developing countries attended the ICEPORM conference to discuss environmental issues. They came and share research results and management experiences. Environmental pollution has become a global issue mostly because of the industrial development and the human activities. The rapid economic growth in Asian countries have increased the threat of pollution in the environment. The consequence is that land use changes directly affect water resources and ecosystems. Also the industrial and urban development is involved in this process. Surface water and ground water in some Asian countries have been contaminated with both organic and inorganic substances. In big cities and industrial areas, air is polluted with chemicals emitted from industrial facilities. This directly affects public health. Global warming and climate change have affected coastal environments in most Southeast Asian countries. Many areas in the Mekong Delta are contaminated with sea salt due to seawater intrusion as a result of seawater rise. This heavily affects rice cultivation in the Mekong Delta. As environmental problems, especially in some Asian countries, continue to increase, the ICEPORM conference provided global education and information about proper management of natural resources. The ICEPORM conference was organized by the Loyola University Chicago, SETAC Asia Pacific, the Vietnam Environment Administration, the Ministry of Natural Resources and Environment, the Vietnam National University, Ho Chi Minh City. 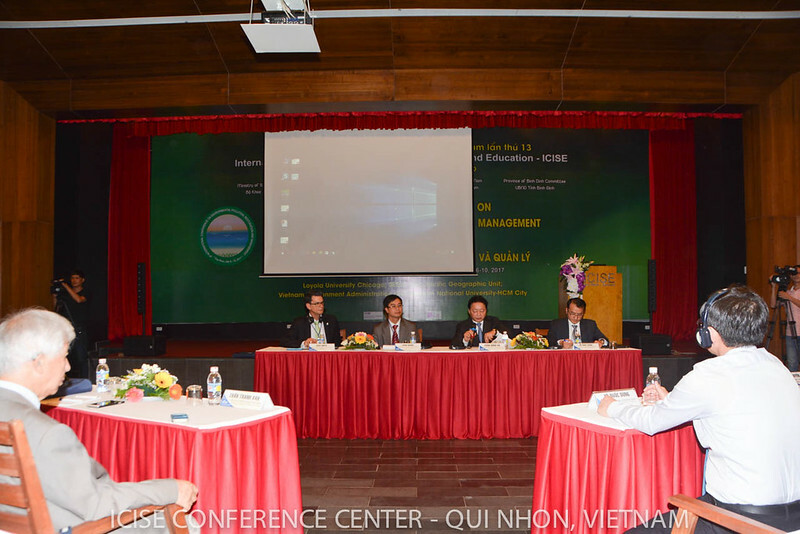 The 3rd ICEPORM conference was hosted at the ICISE conference center in Quy Nhon, Vietnam and we are pleased to share the pictures of it. Here you will find some pictures of the ICEPORM conference. Are you planning a conference? Keep informed about the ICISE conference center subscribing to our newsletter.